For over 10 years, AMWA has volunteered at UMOM Basic Needs Homeless Shelter. Each month AMWA members and community donors provide a healthy meal for over 125 women and their families. AMWA volunteers every 1st Sunday of the month from 10:00-12:00am. Sign up to volunteer with us next time or help sponsor a meal! 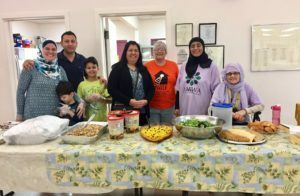 AMWA collaborates with the Interfaith Emergency Lodging Program (I-HELP). 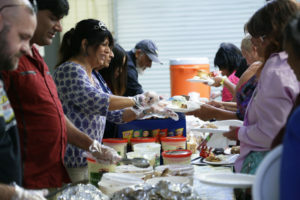 I-HELP provides a safe place to sleep and a hot meal for homeless adults every night of the week. With the help of local volunteers, AMWA provides meals that feed up to 30 individuals every 3rd Monday of the month from 6:00-7:30pm. Join us next time!